Greyhound racing "needs to change, as horse racing has", a peer who is reviewing the sport has said. Lord Donoghue will unveil his findings on the sport later. The review follows concerns about greyhound welfare. The mistreatment of greyhounds in Seaham, County Durham, earlier this year raised issues regarding racing dogs' welfare. A man was fined £2,000 for killing and disposing of retired racing dogs, which he buried on his land. Lord Donoghue, a former farming minister and head of the policy unit at Downing Street, has been actively involved in sporting governance. He has spent 18 months considering evidence for the review. The sport has fought back with a slick website promoting greyhound racing, which is the third most popular spectator sport behind football and horse racing. The British Racing Greyhound Board (BRGB) says that four million people a year go racing, with £2.9bn wagered with on-course bookmakers and in betting shops. It added: "Quality restaurants, corporate entertainment facilities, private boxes and clean, well run bars is the face of greyhound racing in the new millennium." 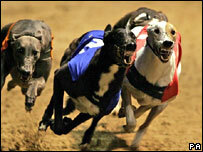 Greyhound racing traces its origins to Bell Vue, Manchester, where it started in 1926. The sport grew in popularity between the wars, but it fell into decline in the 1960s and 70s. There are now 30 licensed tracks in the UK. 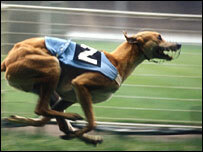 The greyhound breed originated in Egypt, it is the only breed of dog mentioned in the Bible.